The BMW reveals Concept 8 Series embodies what BMW icons have always stood for: It is the combination of the agility of a sports car plus looks and power of muscles with the style of a GODFATHER. Concentrated power meets modern luxury. And uncompromising dynamism unites with timeless elegance. 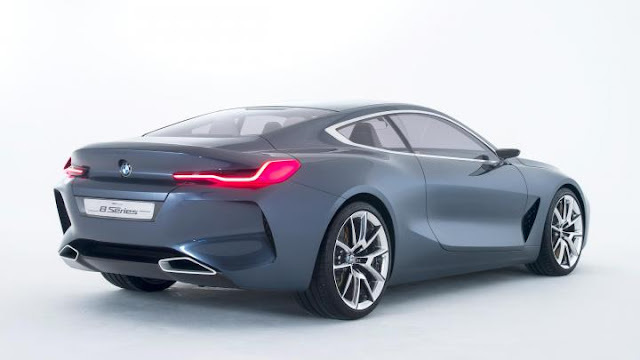 Its big opponent is Audi Prologue Find out more about this coupe. Its dynamic exterior hints at the power contained within the BMW Concept 8 Series. Even when standing still, this expressive sports coupe leaves no doubt as to the superlative driving experience in store. exciting, muscular surfaces promise a dynamic driving experience from the very first glance. The kidney grille flares out as it descends to emphasize the vehicle’s low centre of gravity while the headlights stare resolutely onto the road. Two expressively designed character lines extend to the ultra sporty rear. With its low and extremely broad appearance, it reinforces the dominant overall impression. directly in view, and are thus able to concentrate fully on the task of driving. 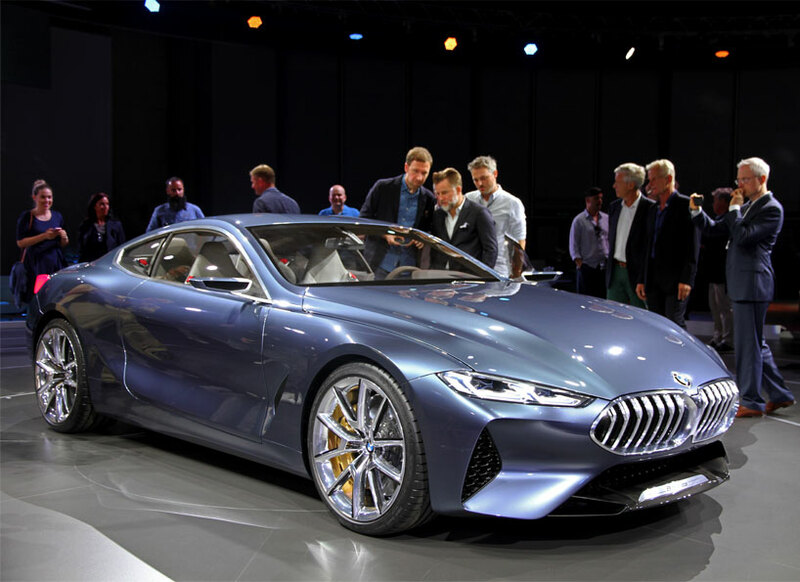 Digital experience and sheer driving pleasure merge into an unprecedented symbiosis, thus creating an entirely new driving sensation. The interior focuses fully on what is essential: the task of driving. 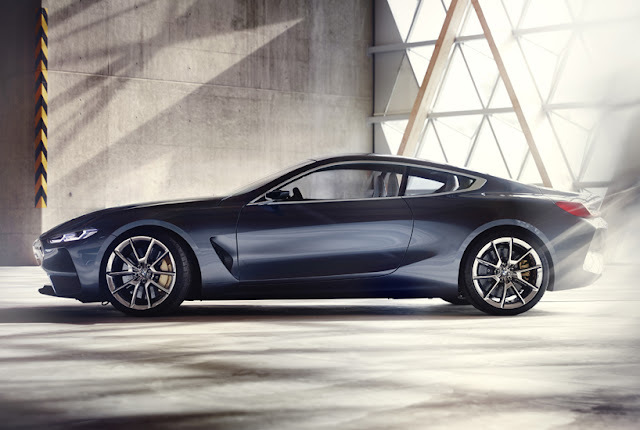 Once behind the wheel, the driver is wrapped in the tightly enclosed setting of a sports car. Every surface and line of the interior surges forward in the direction of travel. This dynamic design finds its elegant counterpart in the exquisite materials that finish the exclusive ambience Carbon shells form the basic structure of the slim sports seats, while Merino leather lends them an especially luxurious nuance. Paddles and red decorative stitching are reminiscent of the racetrack, which is embedded in the DNA of the sports coupe. 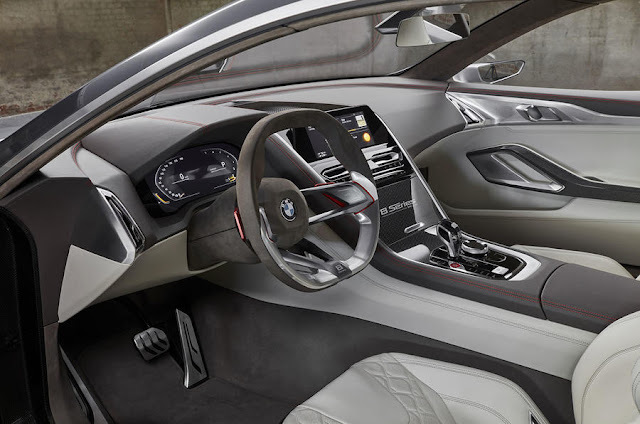 The interior of the BMW Concept 8 Series – pure athleticism elegantly presented.